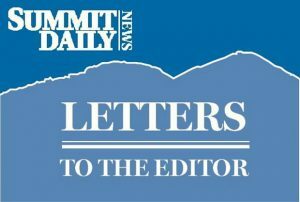 Upon reading Morgan Liddick’s recent “On the Right” column, “Boy Scouts’ honor attacked by ‘tolerance,’” in the Summit Daily News I was compelled to respond. It’s interesting how so many people, with a world-view like Mr. Liddick’s, wave their flags, point to the Constitution and clutch their Bibles from a self-perceived moral high ground. In the last 100 years this country has heard many similar arguments expressed in Tuesday’s newspaper. People like Mr. Liddick have tried to deny women the right to vote and black people the same educational and occupational opportunities in the name of “morality,” “tradition” and other of his misappropriated terms we hold in such high esteem. In the end, these folks always end up on the wrong side of history. There is no liberal conspiracy to strip people of their freedom. There are only rational people who can think outside of themselves and believe it’s wrong (and absurd) to deny a person the same opportunity as another, solely based on their sexual orientation. Liddick made a number of assumptions and generalities in his column. Allow me to make a one: Liddick thinks being gay is a choice. So by his rationale, being straight would also be a choice. I wonder, Mr. Liddick, when did you decide to be straight? How old were you when you decided to hold hands with a girl instead of a boy? When did you decide to kiss a girl instead of a boy? Were you in high school when you opted to climb into the backseat of your car with a girl instead of a boy? As a married, straight man on the verge of starting a family, I’d like to bring a child into a world that’s more fair, more tolerant and offering more opportunity than the world I entered 34 years ago. If I had a son, and he was gay, I’d hope that he would be able to learn “preparedness, proper behavior, respect, rectitude, civic engagement, kindness and morality,” that Liddick speaks of in his column. I would hope that he wouldn’t have to hide his sexual orientation in shame because of people like Liddick. So with that in mind, I’d like to say I’m tired of the hypocrisy. People like Liddick toss around concepts of freedom so haphazardly, and lay claim to the founding principles of this great nation with such reckless self-indulgence. How can he in one breath claim to uphold the Constitution, and in the next mourn the Boy Scouts’ change of course that grants people the very rights in which that precious document guarantees?